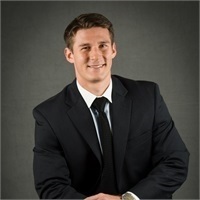 Brent Mitcham joined Strategic Financial Advisors in 2015 after graduating from Texas Tech University with a Bachelor of Science. He was able to maintain his studies while serving Texas Tech as a student athlete and lettering in football. In December 2018, Brent obtained his Master of Science (MS) degree in Personal Financial Planning from Kansas State University. He now serves Strategic Financial Advisors as Chief Operations Officer (COO) responsible for day-to-day oversight of excellence in customer service and financial planning solutions for our clients. In addition, Brent is also serving clients in helping them address their financial matters through tailored holistic financial planning. Brent holds FINRA Series 6, 65 and 63 in addition to his Texas Life and Health Insurance License. Advisory Services offered through Investment Advisors, a division of ProEquities, Inc., a Registered Investment Advisor. Securities offered through ProEquities, Inc., a Registered Broker/Dealer; Member FINRA, SIPC. Strategic Financial Advisors is independent of ProEquities, Inc.